As an adjunct to diet for the treatment of hypercholesterolaemia. Prior to initiating therapy with pravastatin, secondary causes of hypercholesterolaemia (e.g. poorly controlled diabetes mellitus, hypothyroidism, nephrotic syndrome, dysproteinemias, obstructive liver disease, other drug therapy, alcoholism) should be identified and treated. LIPOSTAT is indicated in patients with previous myocardial infarction including those who have normal (4.0 - 5.5 mmol/L) serum cholesterol levels. LIPOSTAT is indicated in patients with unstable angina pectoris (see CLINICAL TRIALS). LIPOSTAT is indicated as an adjunct to diet and lifestyle modification for the treatment of Heterozygous Familial Hypercholesterolaemia in children and adolescent patients aged 8 Years and older (see CLINICAL TRIALS). Yellow capsule shaped bi-convex tablet with a "10" engraved on one side. Avoid drastic changes in dietary habit. 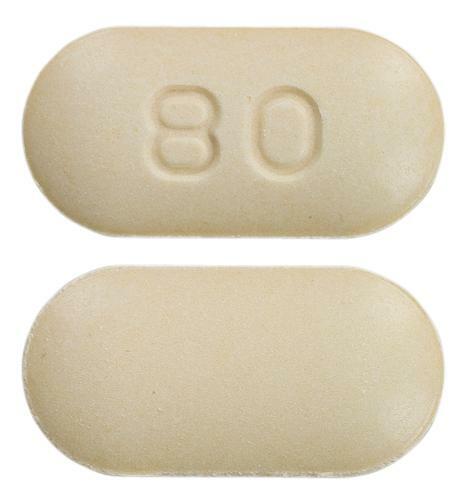 Yellow capsule shaped bi-convex tablet with a "20" engraved on one side. 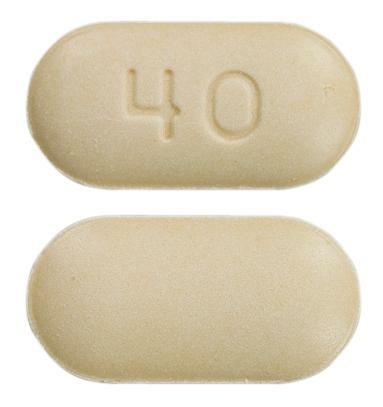 A yellow capsule-shaped biconvex scored tablet with a "40" engraved on one side.